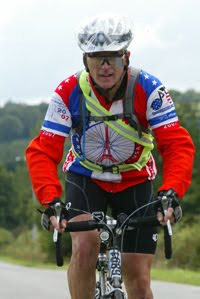 Last fall, we followed Greg on his successful ultra-long-distance fund raising bike race in Pennsylvania. Greg attempted to ride 775 miles in 90 hours. Unfortunately, an accident and broken rib at the 625-mile mark cut his effort short. Despite the crash, Greg raised important funds for the Our Daily Bread Employment Center. Greg is back at it again this summer. 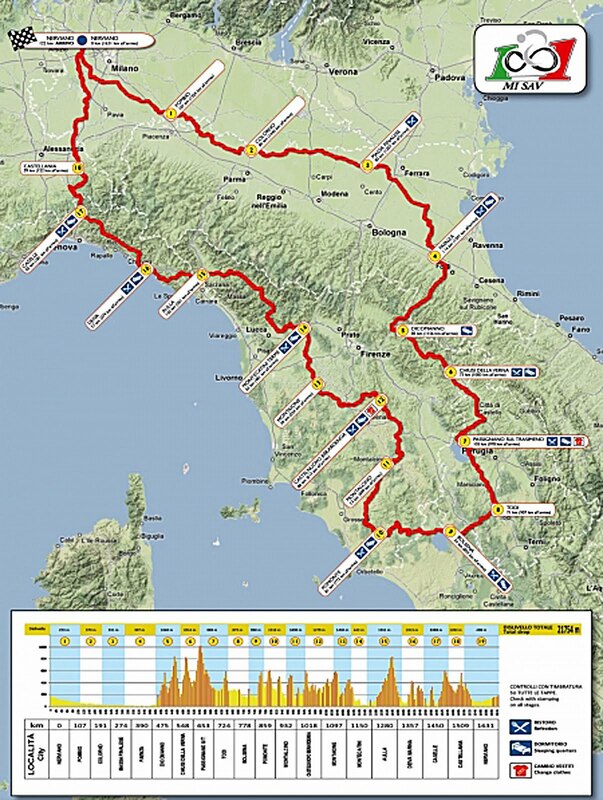 This time it's Italy and the 1001 MIGLIA ITALIA. The race is raising money to build water wells in Africa. Greg hopes to complete the 1,001 mile course in five days. He's off to a great start. Greg completed the first leg (473 km / 294 miles) in 22 hours and 7 minutes. You can follow Greg's progress here. 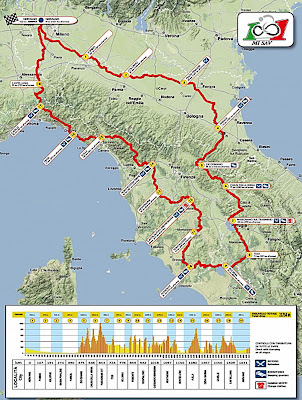 The map below does not have the resolution to read very well, but if you click on it, you can get a pretty good idea of the course Greg is taking around Italy this week. Good luck Greg! Riding your bike 22 hours a day probably leaves you MORE time to sleep than when you're working, so enjoy all that extra rest and relaxation lounging around Italy. Good luck Greg from Think Again Media!